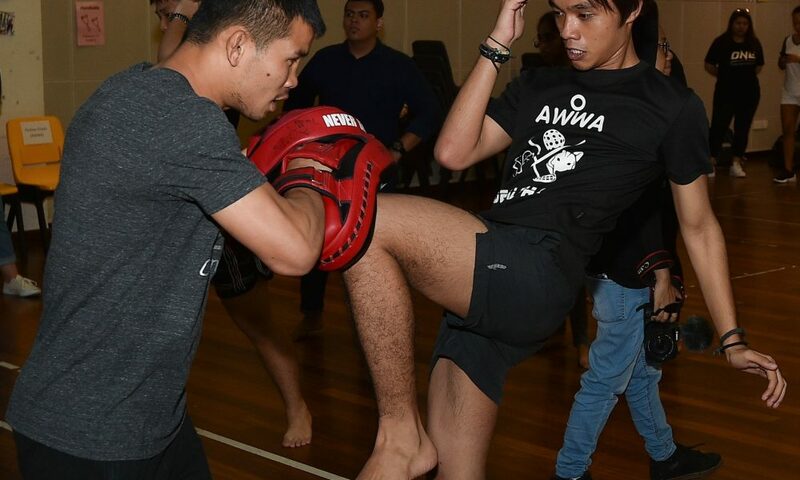 SINGAPORE: On Sept 29, world-class athletes from ONE Championship took a group of 30 youth beneficiaries from AWWA and Fei Yue Community Services under their wing and taught them martial arts moves. The participants were aged between 12 and 21 – a period when it’s critical to have the right mentors who can instil integrity, discipline and other life values that will serve them well beyond martial arts. The mentorship workshop was part of SGX Bull Charge’s collaboration with ONE Championship, the official fitness partner of SGX Bull Charge. SGX’s collaboration with ONE Championship has gone beyond fundraising: SGX seeks to run programmes like this workshop to provide more value and meaning to our beneficiaries. Launched in 2004, SGX Bull Charge is the only corporate charity initiative that brings together Singapore’s financial community and listed companies to support the needs of underprivileged children and families, persons with disabilities, as well as the elderly. All proceeds raised this year will be channelled to six adopted beneficiaries: AWWA Ltd., Autism Association (Singapore), Community Chest, Fei Yue Community Services, HCSA Community Services and Shared Services for Charities.